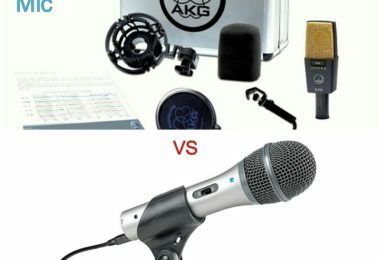 Are you looking for the best condenser microphone and having difficulty deciding? 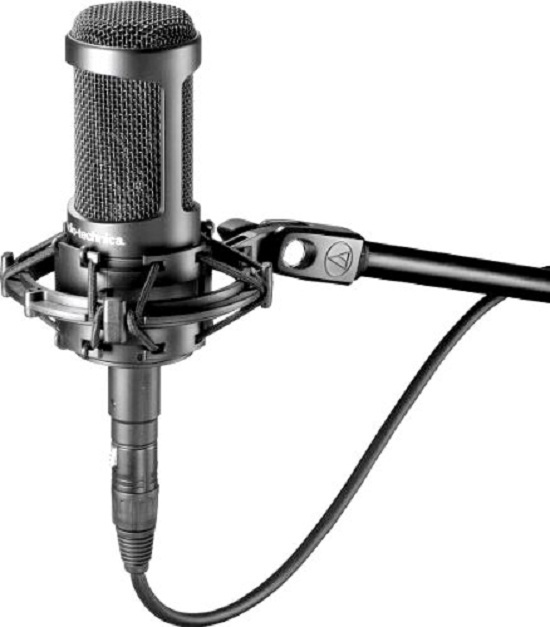 Well, there’s no need to scour the web as we have compiled the top condenser mics available. You can jump into the reviews now if you want. But if you’re new to microphones in general, you may want to go over the following information first. Condenser mics are best for acoustic guitars, piano and cymbals. 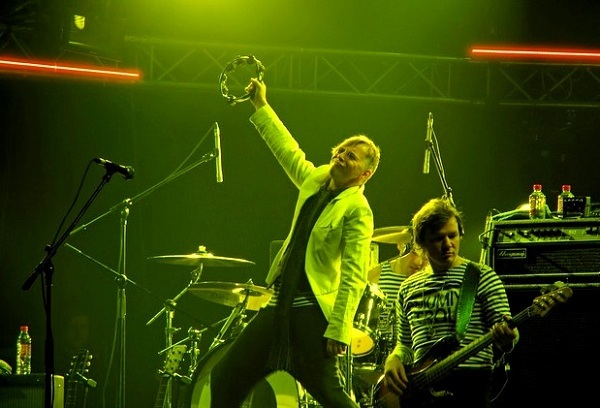 Dynamic mics are more suitable for electric guitar solos and drums. Condenser mics produce belter results with high frequencies. Dynamic mics have a larger diaphragm. Generally speaking, dynamic mics are more resistant to moisture and humidity. This makes them more suitable for on-stage use. Condenser mics are more ideal for home and studio recording. Large diaphragm mics are usually ¾ to an inch in diameter. They are very sensitive and need suspension mounts and external power to work. Large diaphragm mics are suitable for recording vocals and a wide range of instruments.A side address mic is another large condenser mic, with a large diaphragm and a flat windscreen. These mics are horizontally set and at a 90 degree angle. A small diaphragm is usually half an inch in diameter. They’re great for recording and also live. These mics are especially suitable for recording high frequency sounds and those that quickly change in volume, i.e. cymbals. Just like other condenser mics, a small diaphragm mic needs a battery or phantom power to run. Dual diaphragm mics have a similar setup with that of a side address mic. A dual diaphragm mic is ideal for recording by large groups or duets, and they’re also good for recording ambiance. A dual diaphragm mic also works well for balancing dual sound sources. These are the ones used in classic recording. The advantage of these microphones is they have a rounded and warm sound, making them handy for professional studio use. The best condenser mic for vocals should have more than just the right diaphragm size. Consider the following as well. If you search for the best condenser mic under 500, you’re going to find polar patterns mentioned a lot. This refers to the shape of the mic’s sensitivity field or the directions where it ignores and accepts sounds. A bi-directional mic collects sounds from west to east but not south and north. An omnidirectional mic responds to all directions. A unidirectional mic hears audio from a single direction and doesn’t include the rest. 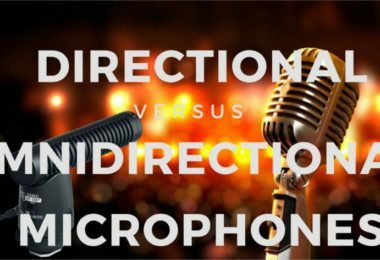 Unidirectional mics are the most common, and they have three polar patterns: hypercardioid, supercardioid and cardioid. All three reject off-axis and rear axis sounds, ensuring recording is clear. The cardioid pattern is the most common of the three. The cardioid pattern has a heart shape (hence the name), and it is very sensitive to audio from the sides and straight on. However it doesn’t accept sounds from 180 degrees opposite where the mic is directed. A supercardioid mic rejects more sound along the sides, but takes more around 180 degrees. The hypercardioid accepts more sound at 180 degrees but less from 90 and 270 degrees. 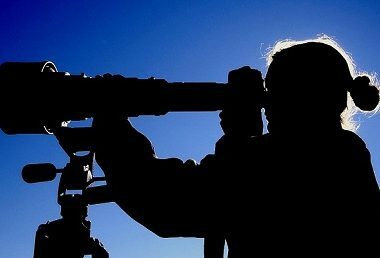 Polar patterns are crucial when you’re recording in a noisy location as they block out the extraneous sounds. They also get rid of feedback and getting muddled. Some mics let you change the patterns from cardioid to omnidirectional and back. This is worth looking into if you need versatility. The frequency response refers to the frequency range the mic picks up. The frequencies are measured in hertz and range from low to high. An 80 Hz to 15 Hz will do for a vocal mic. However, the best male vocal mic under 1000 usually starts at 50 Hz. This range is good for toms and snares, but you have to go to 40 Hz or 30 Hz for bass drums. The best microphones for YouTube have a good response curve. The frequency response only lets you know the mic’s reproduction range. How it handles various frequencies is another issue. A mic’s response curve is its frequency responsiveness, and it’s shaped like a curve if you graph it. The curve has dips and peaks that make it suitable for specific types of applications. For instance, a microphone for vocals may have spikes in the curve that allows for better reproduction. 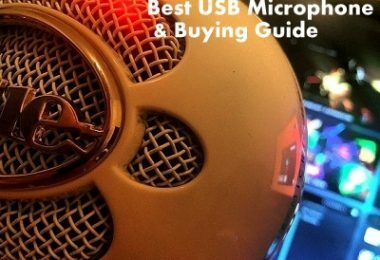 The best microphones for gaming and recording have a good deal of sensitivity. The more sensitive the mic is, the quieter the sounds it can record. SPL (sound pressure level) is measured in decibels (dBs). It refers to the maximum volume the mic can work with, so it is the opposite of sensitivity. Most condenser mics have an SPL of 100 dB, though some can reach 130 dB and higher. Condenser mics need power, and that is what phantom power provides. 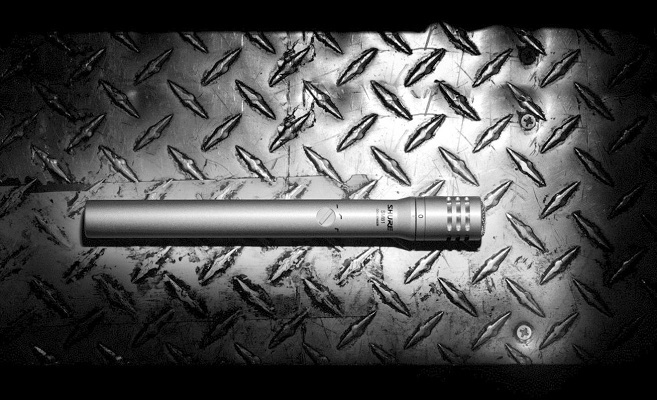 With a +48V phantom power, a condenser mic is able to receive the power it needs via an XLR cable and socket. Plug your mic in, turn phantom power on, choose the right channel and your mic is ready. The proximity effect leads to more pronounced bass frequencies. This can be good as it makes your voice sound clearer and cleaner. However, too much of it can make your vocals sound muddy and unintelligible. The best studio condenser mic generates more proximity effect than dynamic mics, but most have a minimizing element so your vocals come out all right. Is the mic comfortable to hold? What is it made of? Make sure the body is made of metal or other high quality steel to ensure it can handle the rigors of daily use. If you’re going to bring the mic as you travel, a carry case is necessary. You may also opt to replace the carry case with a larger container if you have to bring other accessories. What do customers have to say about the mic? If the mic is new and doesn’t have a lot of reviews yet, check the company’s reputation. Test the mic if it meets your needs. If not, you can always ship it back and get a refund. Which Condenser Mic Should I Buy? To answer this question, determine how you intend to use the mic. Will it be for home recording? Are you a professional artist? Is the record going to be for a demo, or do you sing and record professionally? If you’re new to recording, buy a simple condenser mic. Learn how it works and once you’re comfortable with it, you can upgrade to a more versatile model. If you’re a recording artist however, you need a high quality mic to match your recording equipment. Now that you know what features to look for in a condenser mic, you’ll know how to read the product specs and what to get. There is no need to buy the most expensive microphone in the world when you can settle for the Audio Technica AT203. Designed for professional studio use and new musicians alike, the AT203 offers low noise and very high detail. This is a side address cardioid mic that can take care of high sound pressure levels with no difficulty. It has a 10 dB pad, and its 80 Hz high pass filter is switchable. Apart from the high end specs, the mic has a rugged design and provides consistent performance. The warranty is good for 2 years. It comes with a microfiber cleaning cloth, a pop filter to your remove noise and a 10 foot XLR cable. The cardioid polar pattern also minimizes sound pickup from the rear and sides, making it easy to isolate the sounds. 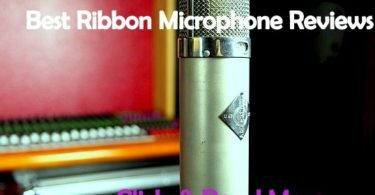 The XLR cable makes it simple to connect to the interface\or mixer, and the fiber cloth lets you clean the mic without fear of damage. The AT203 is a well-designed mic that delivers a solid performance. The sound quality is good and its custom shock mount is well made. The inclusion of a protective pouch is also a nice feature. The AKG Pro is one of the best microphone for live vocals today, and its sonic character makes it easy to record solo instruments as well as vocals. The body is made of solid metal die cast, and its finish is scratch and shock resistant. The mic has a bass cut filter and a 20 dB attenuator which allows you to do recordings up close while minimizing the proximity effect. The noise level is low, allowing you to record up to 156 dB SPL. Its dynamic range is also outstanding. Warranty is good for 2 years. The design means it is suitable as a low cost substitute for high end mics. With the AKG Back Plate Technology, you get high quality sounds without compromise. It is also effective for guitar amps, drum overheads and the like. 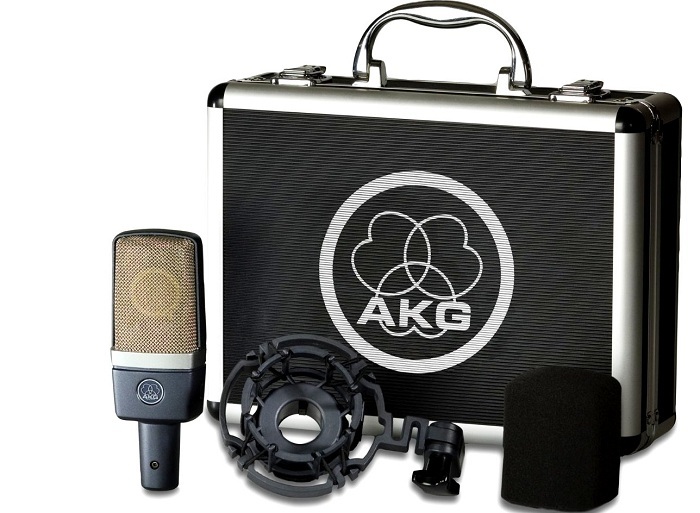 The AKG Pro is suited for professional musicians who need a high quality mic, and it is also ideal for recoding instruments. The durable design makes it roadworthy, and the built in suspension minimizes vibration and mechanical noise. By and large, it’s a solid, well- rounded mic. Performance wise, the NT1-Ai is as good any microphone for recording vocals on computer. Its dynamic range is wider than other mics, and the surface mount circuitry doesn’t need a transformer and has very low noise. Self-noise registers at just 5 dB, and its SPL capability is comparable to high end microphones. 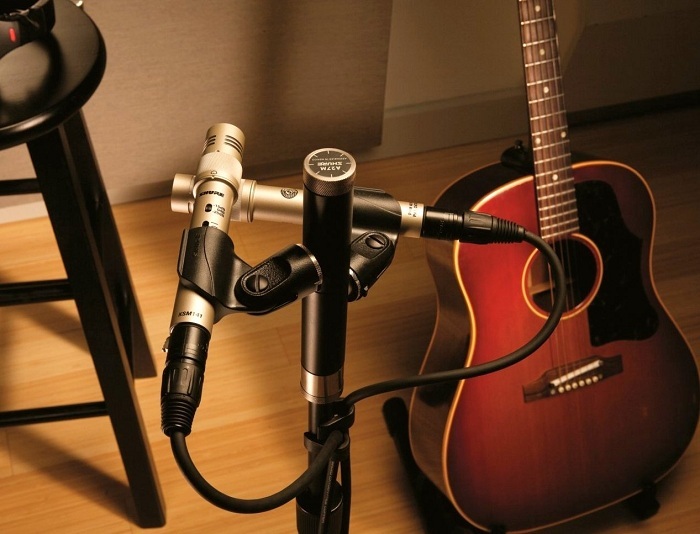 Aside from vocals, the mic is also suitable for recording percussion and guitars. The mic comes with an extended warranty of up to 10 years if you register the product. Apart from the mic, the package includes a DVD with tips for recording, a dust cover and a 20 foot microphone cable. A shock mount and studio grade pop shield are provided too. The NT1 is a solid performer. You can plug it in a digital workstation and raise the volume up to 10 without distortion. It also records instrument sounds clearly. The NT1-A has the features you’d expect from a quality mic. SPL is high, recording quality is excellent and its dynamic range has very good extension. Like the rest of the NT1 series, its self-noise level is very low. For quality recordings, the NT1 is herd to match. If you’re looking for the best microphone for singing at home, the AKG Perception is a good choice. The metal body can withstand the rigors of daily use, and it’s suitable for travel too. The attenuation pad is switchable for up to 155 dB SPL, and the small diaphragm cords records sounds clearly. Built as an alternative to the AKG C451 B, the Perception is a true condenser that has been engineered for superior sounds. The mic is responsive, the frequency range is good and it is sensitive too. Most people use this to record acoustic instruments, and the results are very good. The Perception’s solid built means you can use it regularly without any loss in quality. The bass response is just right, but with speech and other sounds it is rich and natural. The Perception is therefore a good choice for beginners. It also has a 2 year warranty. As far as small diaphragm mics go, the AKG Perception is quite good. The quality is more suited for strings, acoustic guitars, percussions and overheads. Vocal recording quality is also top notch, though it is more for group vocals than solo. Performance wise it is one of the best in its range. The MXL 770 is a low distortion diaphragm mic with many features found in high end mics only. This 6 micron microphone has the sonic features of the MXL line, and it has a 10 dB pad and switchable bass cut. Output is well balanced and it comes with a rugged carrying case. A shock mount is included, and the FET preamp is of very high quality. Combine this with its solid bass and you get a dynamic range. For superior sound quality, the mic is Mogami wired. While this is not a high end mic, the quality is very good and much better than those in its range. The 770 doesn’t just look sharp but also feels good in your hands. Recording quality is top notch and it has a full feel to it. The warranty is good for one year after purchase. 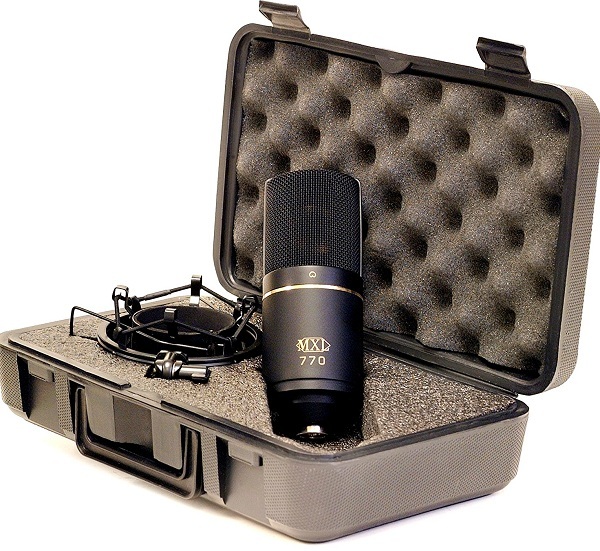 The MXL 770 is great for vocal and instrument recordings. Rappers in particular will like it, and the bass is solid. This is a cost effective alternative to high end mics, and it is also ideal for new and veteran artists who want quality without overspending. The KSM is a small diaphragm mic, but its capability is comparable to the best large diaphragm condenser microphone under 1000. It comes with a subsonic filter that reduces the rumbling sounds at low frequency brought about by mechanical vibration. You can opt for an omnidirectional polar or cardioid pattern. Either way, the 3 position switchable filter reduces the proximity effect and background noise. The switchable pad is ideal for SPL sources, and its transformerless preamplifier circuitry improves performance. The KSM has a 2 year warranty and is ideal for live applications. The construction also allows it to handle high SPL pressure levels. The mic also comes with a rotating collar that makes it easy to switch from true omnidirectional to cardioid. Lastly, the self-noise level is low. 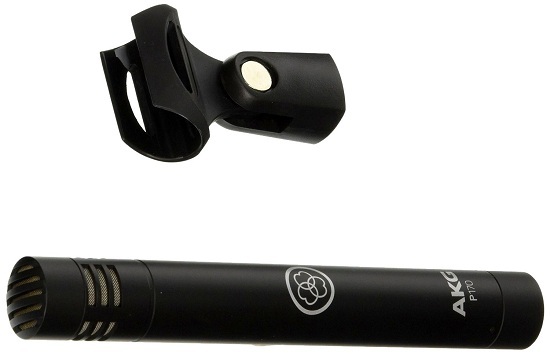 The KSM is an all-around mic, suitable for acoustic instruments such as strings, percussion, drums and guitar. This is also ideal for use with ensembles, wind and low frequency instruments. You will also find the KSM ideal for recording kick drums, electric bass and other low frequency instruments. We included the Shure SM81 our list of the best small diaphragm condenser microphone because of its performance. Its frequency response is from 0 to 20 kHz, and it has a high output clipping level. You can choose from flat, 6 or 18 octave/dB rolloff for low frequencies, and its self-noise level is low. Other notable features include a phantom powering, 12 to 48 VDC, DIN 45 596 voltages) and cardioid polar pattern. The polar pattern is designed so it provides minimal off-axis sound coloration. 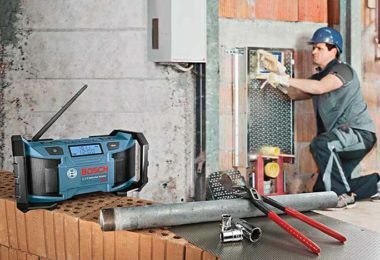 The SM81 has a one year warranty, and it provides optimum performance. Recording quality is good and construction is rugged. The mic also performs well even under diverse humidity and temperatures. Apart from the mic you also get a carry case, foam windscreen, attenuator-switch lock and a swivel adapter. The sound pickup quality is very good, and recording is top of the line. The Shure SM81 is an outstanding mic. It can handle daily use on the stage and in the studio, and it’s great for sound enhancement, broadcasting and studio recording. The low RF susceptibility, low noise and wide frequency also mean it’s suitable for cymbals, guitar, piano and other instruments. If the best condenser mic under 300 does not work for you, then it’s time you settle for a Neumann. The SKM is the preferred choice of recording artists because it handles pressure levels up to 38 dB without a problem. The Neumann is one of the quietest mics, making it a good choice to record subtle sounds. 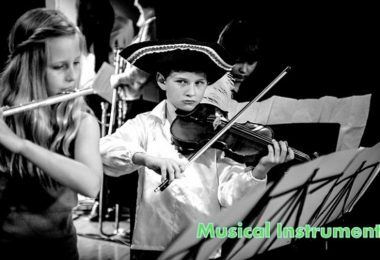 You will notice the difference when you record orchestral instruments and acoustic guitars. The SKM has a 2 year warranty, and the microphone comes with a cardioid pressure condenser pressure element. This feature allows for superior recording, broadcast and sound enhancement. Neumann microphones have become synonymous with quality, and the SKM is no exception. The slim design makes it easy to hold. The SKM is also well-balanced, and the signal output is strong and accurate. The mic is also sensitive, and this allows for quick response to instrument dynamic changes. 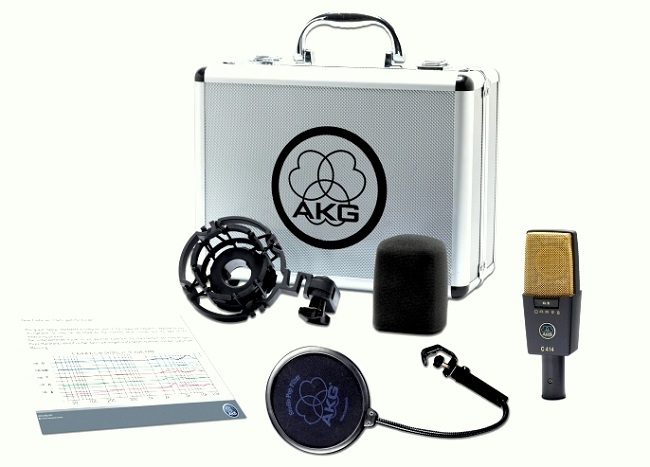 The AKG C414 has the same high quality sound as the AKG C12, making this suitable for solo instruments as well as lead vocals. It also has three bass cut filters that reduce the proximity effect, stage vibration and wind noise. 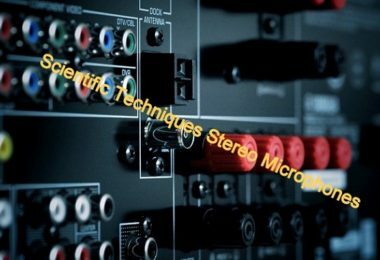 The mic also has 3 attenuation levels (-6/-12/-18 dB), which allows you to work with high output sources up to 158 dB SPL. It is also effective for close up recording. There are also 9 polar patterns so you can choose the appropriate setting for each application. The warranty is good for 2 years, and it has been engineered to provide high quality neutral sound and high linearity. This large diaphragm mic is also versatile and can be used for different recordings. 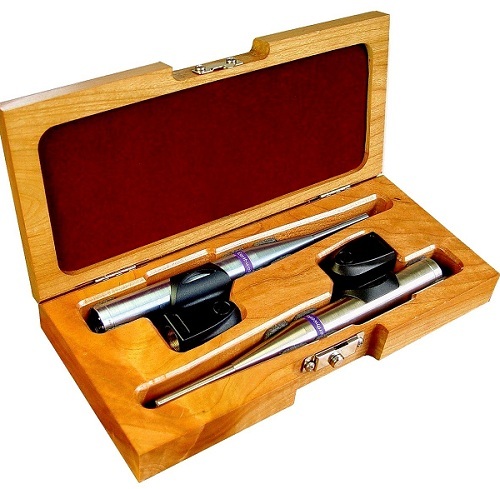 The sound quality also makes it appropriate for acoustic and detailed instruments. Sometimes the best budget condenser mic for vocals won’t do. In that case you’re better off investing in a quality mic like the AKG C414. It is built for professional musicians as well as anyone who want a high quality mic. The recording quality is sharp and there’s even an overload warning. The QTC50mp is a versatile omnidirectional microphone built for high quality recording of choirs, distant mike orchestras, strings and vocals. It also has a Time Coherent Response for superior performance. Sound quality creation is precise, and the mic handles sound up to 142 dB. There is no handling noise, and there’s limited proximity effect either. Uncolored and accurate, the QTC50mp is uncolored and precise, and its frequency response is flat. The polar characteristics are also good. Its 50Khz frequency response is excellent, and it is suitable for different recordings. The mic is also solidly built and can handle regular use. Aside from being durable, the mic is also built with versatility in mind. While there are cheaper microphones, the QTC50mp is a worthy investment. The QTC50mp may be too much for beginners, but for professional recording artists, this will do just fine. It is well-made, and the sound quality is one of the best we have come across (and we have tried a lot). If the best live vocal mic under 1000 doesn’t provide the sound quality you’re looking for, the QTC50mp is worth looking into. It is an all-around mic but is the most effective for percussion instruments, drum overheads and vocals. It is also appropriate for vocals. The Telefunken U47 has been around for more than six decades, and this microphone sets the standard. More than anything, the low end and mid-range response sets it apart from the rest. This version of the U47 has a new capsule surrounded by a chrome head grille. The output transformer is new, and it is surrounded by a matte nickel body. Its VF14K vacuum tube is solid too, and the old tubes have been replaced by a plug and play mechanism. The U47 is for anyone who wants a powerful and depend mic. Professional rock bands and rappers use this, and so do crooners, orchestras and symphonies. 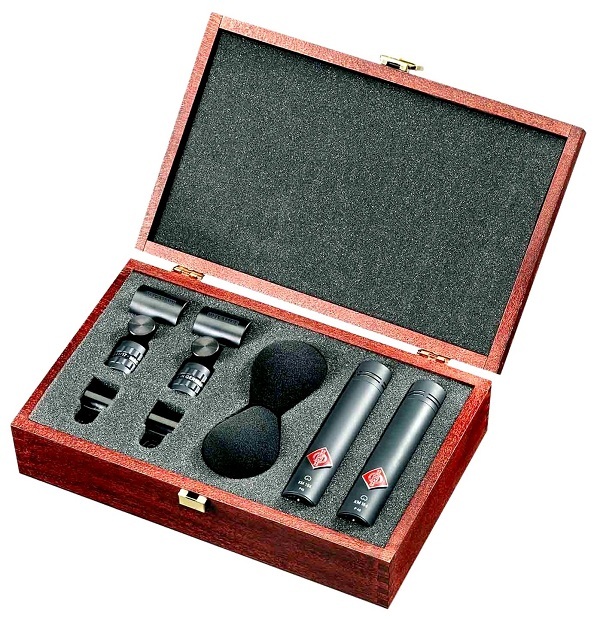 While other mics re only good for certain sounds, the U47 is suitable for guitars, orchestras, lead or backing vocals. If you’re a singer or record for a living, you will never want to settle for mediocrity. 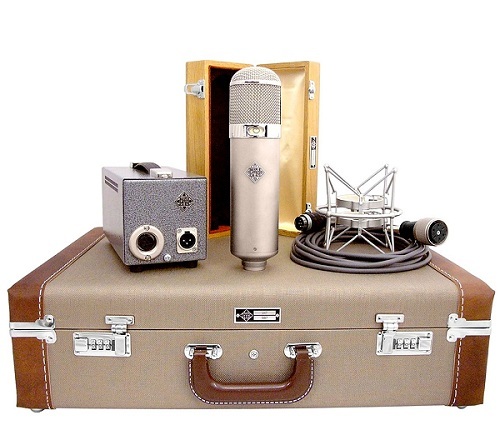 Sure, the Telefunken U47 is going to cost more than your typical mic. But then again the Telefunken U47 is not an ordinary mic. If this is good enough for Green Day, ZZ Top and Snoop Dogg, it should be good enough for most. Even the best large diaphragm condenser microphone under 500 dollars won’t last if you don’t take care of it. Here are some tips. Follow the cleaning instructions that come with the mic. Condenser mics have more electronic components than dynamic mics. This means they’re more fragile. Clean the mic after each use. Let it dry. Put the mic in its case after you’re done using it. Read the specs and don’t use it for something it isn’t meant for. If the mic is sensitive to humidity, be careful where and when you use it. What Else Do You Need For Home Studio Recording? Even with an MXL 770 cardioid condenser microphone, you still need other gear for a home recording studio. A computer: the fastest you can afford, be it a PC or Mac. A DAW (digital audio workstation) where you will record, edit and mix your music. 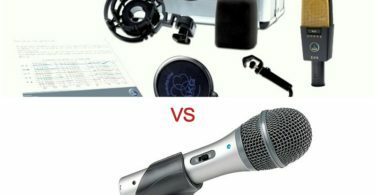 Microphone: a condenser mic is the best for home recording. If you can get a large and small diaphragm mic, do it. Headphones: look for closed back headphones. Open back headphones are nice, but beginners don’t need them. Studio Monitors: the best way to do mixes is with a pair or studio monitors. A Mic Stand: it doesn’t have to be expensive as long as it’s durable. 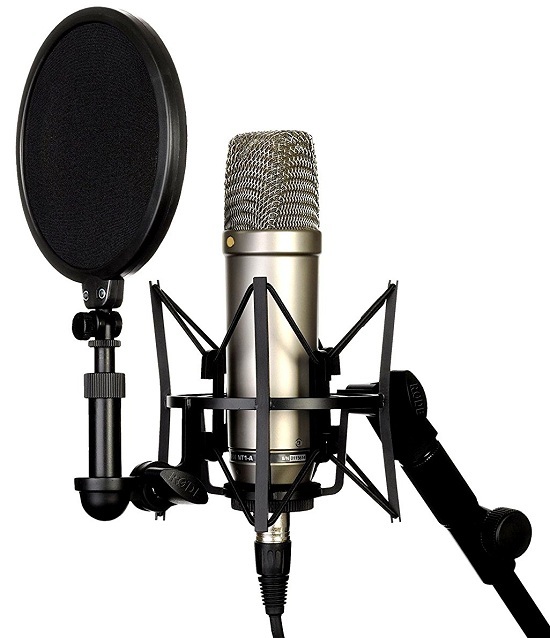 Pop filters: a pop filter is the mesh screen that you see covering the mic. These filters are used to eliminate popping noises. A Dedicated Room: you must have a dedicated room for recording, as it makes for a better acoustic environment. Reflection Filters: you use reflection filters to enhance vocal recording. What it does is capture sound reflections for better recording results. Diffusers: a diffuser scatters sound in the room, adding ambiance to the setting. While this is commonly found in large studios, some are now available in home studios too. Acoustic Panels: acoustic panels are necessary to enhance mid and high frequency sound absorption. Acoustic panels are especially effective in square shape rooms. Bass Traps: you will need this to take in the low frequency sounds that would be impossible to record in a small room. Studio Chairs: any chairs will do as long as they’re comfortable. Desk/Workstation: the desk should be large enough to hold all your gear without being cramped. Whether you’re looking for the best condenser mic under 2000 dollars or whatever the price is, remember that cost is not the only thing to consider. As we have shown in this review guide, there are a lot of other factors that come into play. 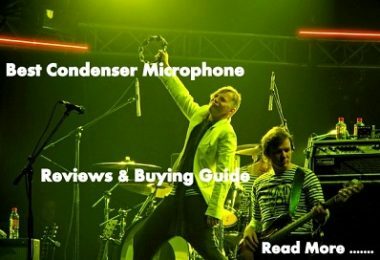 Hopefully with this guide you now know what condenser microphone to get.